There was a bit traffic on my way to Stowe. First pocket of traffic was from tourists visitng Ben and Jerry, then the down town Stowe was kinda busy, lastly there was an art and craft show near Mansfield Ski Area. 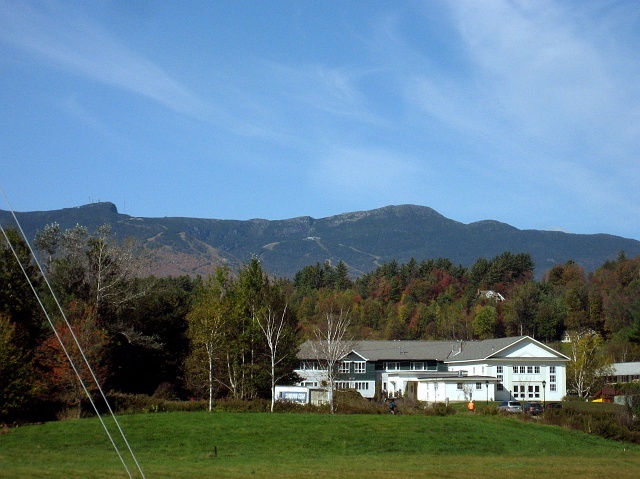 While I was in the traffic, I got a nice views of Mt Mansfield: the Nose, Chin and Adam's Apple. © Copyright huiyengchang 2001-2007 All Rights Reserved.